When you become a member of the Tualatin Chamber of Commerce, you are instantly connected to a network of over 430 local businesses who represent a dynamic business voice in our region. Whether you want to be involved in our advocacy efforts, are a new small business, expanding your network, or a large business wanting to be involved in the community, your membership will provide you the tools, resources, and knowledge to achieve your goals. The Chamber is one of the leading advocates for the Tualatin business community, especially in the areas of transportation, workforce development, and public policy locally, regionally and at the state level. Our members are extremely busy, without having to worry about the latest city council agenda or potential regulations from the state government. That’s where we get involved. We help our members understand the issues, and fight to benefit your bottom line. Between our Board of Directors and Business Advocacy Council, we have transparent policies in place to show how positions are taken on issues. Click here to learn more about our Business Advocacy Work. 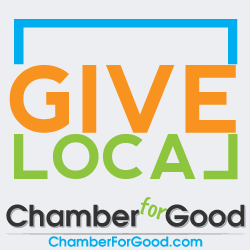 At it’s core, the Chamber’s goal is to support our business community and making connections is one of the most fun ways we support you. There are many reasons to network, but what matters most are the connections you make. Whether it be our wildly popular AM Networkings, one of our programs (e.g. After Hours Mixers, Women in Networking), being a member of one of our business teams, or introductions we can make for you ourselves, you will have more opportunities to connect with local professionals than is available through any other local organization. Professional development is vital to the growth and advancement of our business community. Get a competitive edge over non-members with exclusive training opportunities and resources, many at no cost to you! Most notably you can take advantage of our Thrive Business Education series, Business Acceleration Team, and Chamber News & Tools for Business. As a Chamber, our staff often acts as a liaison between businesses and community leaders/elected officials. Our staff has a wealth of connections within the community, and we are more than happy to connect our businesses with the right people. Additionally, we offer several Key Leaders events annually for our Gold & Platinum Members to meet and connect with their elected representatives and fellow business/community leaders. As both a Chamber and Visitor’s Center, we receive many inquiries daily for businesses. Whenever possible, we refer to our members. Additionally, Chamber members refer business to each other. We offer Relocation and Vacation packets filled with offers to encourage people to use our member’s businesses. Our directories (both printed and online) provide multiple opportunities for business referrals. Additionally, our staff is active daily in multiple local social media communities and referring consumers to our members. As a member, you have access to discounts from members for a wide variety of products. Additionally, we have partnerships with businesses such as Office Depot that offer our members generous discounts. Click here to learn more about discounts available to members. Being a Chamber member offers you access to our outstanding staff. We’re here to help you with everything from marketing your business , scheduling ribbon cuttings, connecting you with business resources, being your contact at City Hall, and so much more. Please use our team as an extension of your business staff to help solve your business problems and address your business needs. Click here to learn more about our Staff. 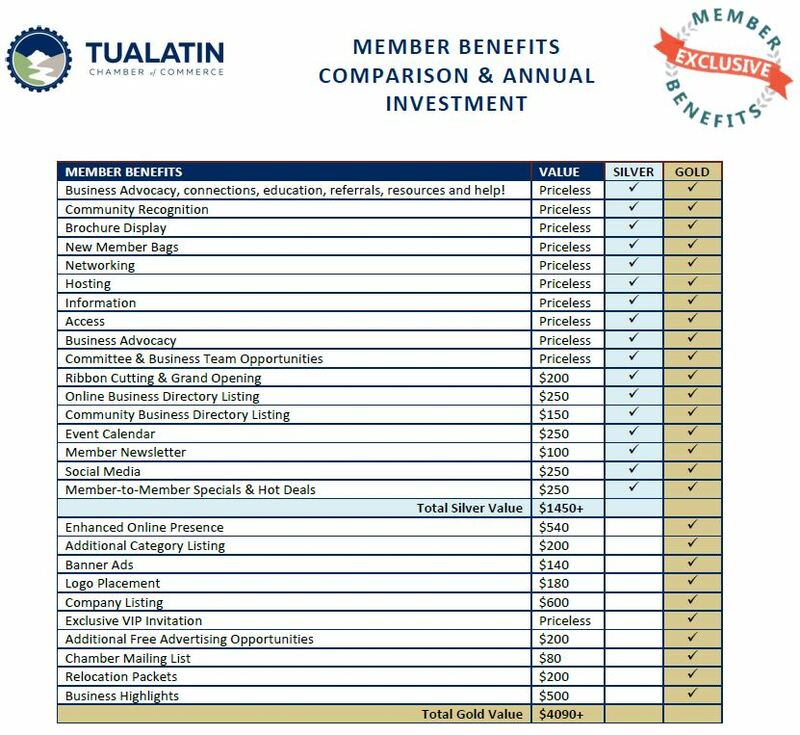 Your investment and membership of the Tualatin Chamber of Commerce promotes not only your business, but the community itself. We support many areas of Tualatin from the Tualatin VFW (Veterans of Foreign War), Tualatin Rotary, and more. Your membership helps create the kind of place you are proud to live and work in. Contact our Director of Member Services, Tracy Evans today at tracy@tualatinchamber.com or (503) 692-0780 to learn all the exciting opportunities available to our Chamber members!